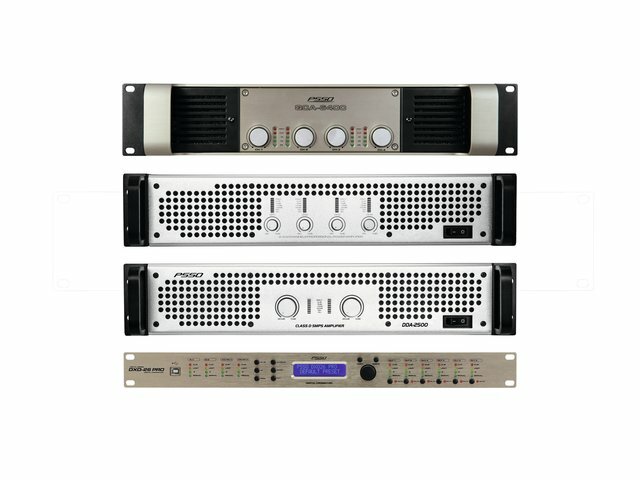 The stereo PA amplifiers of the DDA series with integrated limiter have been specially designed for stage and the disco applications. 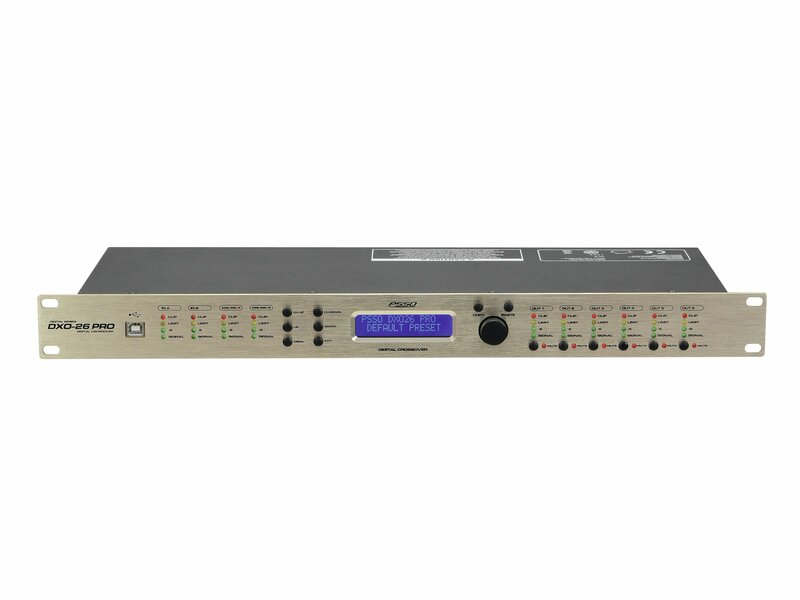 The amplifiers may be used in stereo operation, parallel operation or in mono bridge operation. 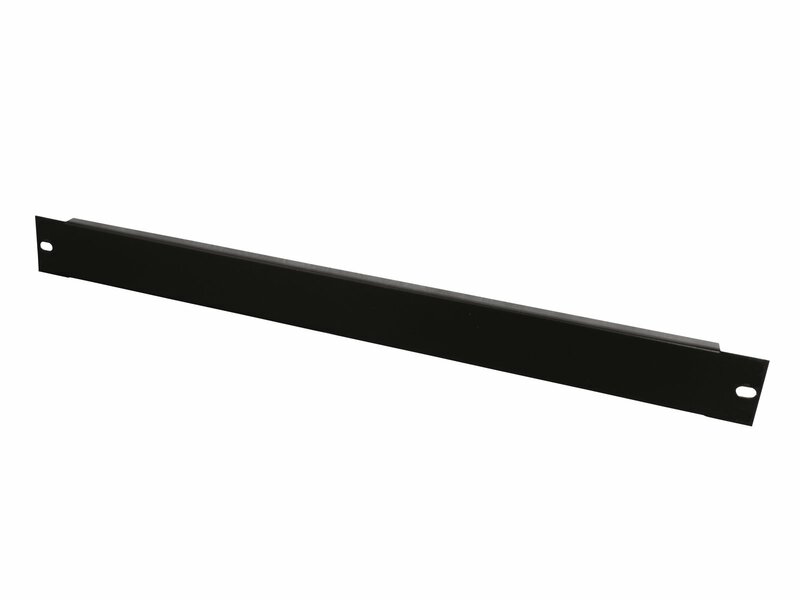 All models employ a Class D architecture. Thanks to their switch mode power supply unit, the weight of the amplifiers is considerably lower than that of amplifiers of comparable power equipped with a standard power supply unit which makes them particularly attractive for rental companies. 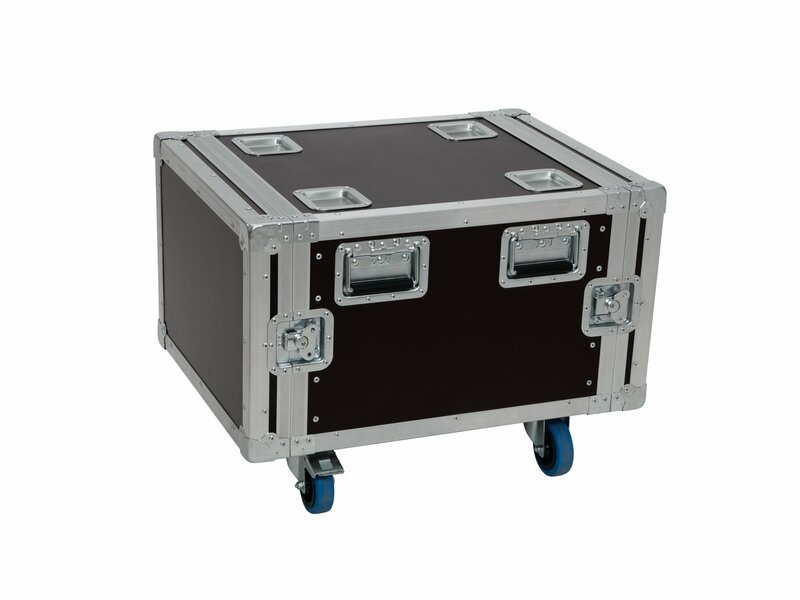 The amplifiers and the speakers connected are protected through extensive protective circuits. 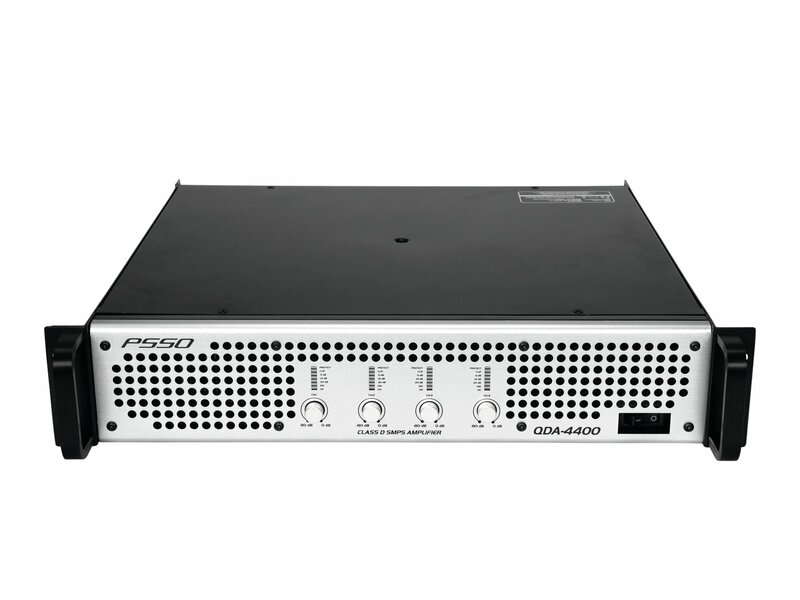 The QDA-4400 PA amplifier offers ultra-high output power paired with a low weight and small overall height. The amplifier uses a Class D output circuitry. 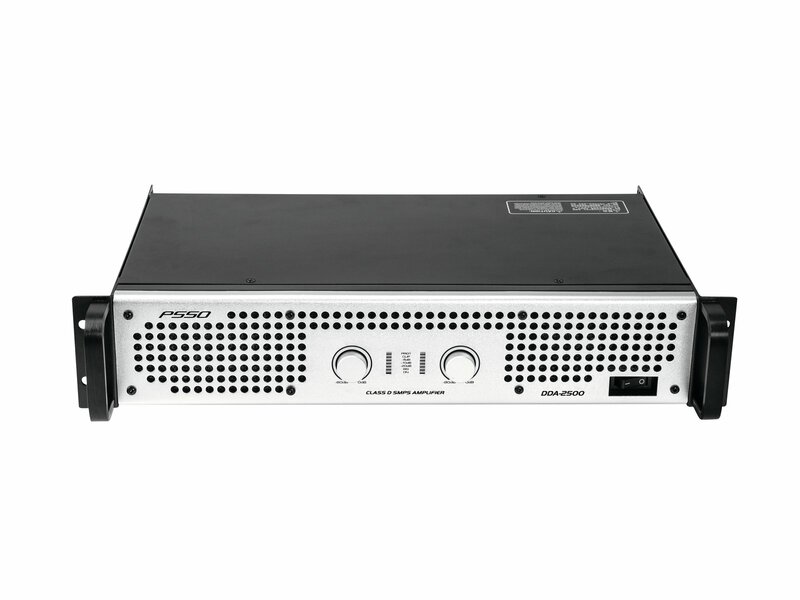 Featuring a modern switch-mode power supply, the amplifier provides up to 5 kW peak power and weighs less than 10 kg. This makes this model particularly attractive for mobile applications. 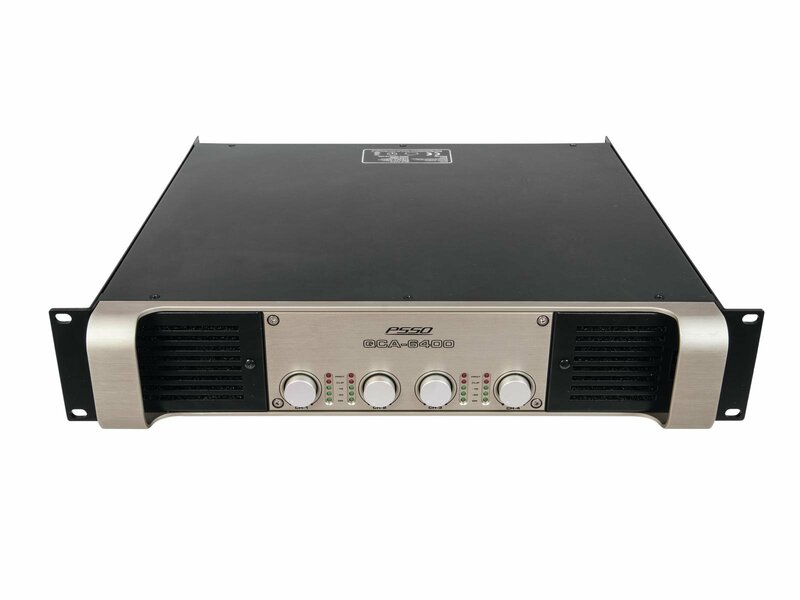 The amplifier can be used flexibly in stereo operation, parallel operation or in bridge operation. Extensive protective circuits will protect the amplifier and the speakers connected.